That is why it is called "Leading Edge." Stan Deatherage: "I am now actively searching for those bright lights with the human condition, who can fathom simple solutions to complex problems, and capable of relating such to those we wish to do business with, as well as our fellow team members that create our world class products." Our beginning was back in 2009, when we wished to create an online publication that expressed a multitude of issues and opinions - quite unlike the standard local fare - and needed a content management system (CMS) to manage that site. We looked at what open source content management systems that were available at the time, and were not overly impressed with what was offered. 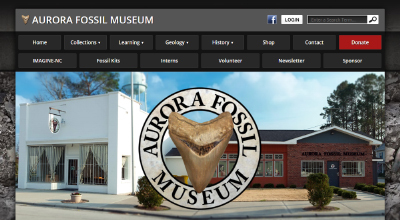 So, we developed our own, which became our proprietary Symbiotic Publisher CMS that has long powered our Beaufort County NOW publication. Its evolution as a premium CMS is ongoing. 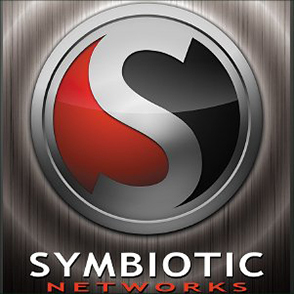 Symbiotic Networks' expandable and flexible core code is a perfect base script for almost every data management application. As SNI's lead sales professional, I am seeking every avenue to promote our capabilities, and provide our products to whomever, and whatever entity that must compete to better present their message, their products. To properly accomplish that feat, I will need salespower - qualified, ambitious men and women, partners in accomplishment. We have much to sell, potentially more than most anyone could imagine.  Our Publications: Client participation and exposure to many clients and multiple markets through the online connectivity of our multiple publications, all of which will allow them access to their specific regional online community, and to participate in its great potential. 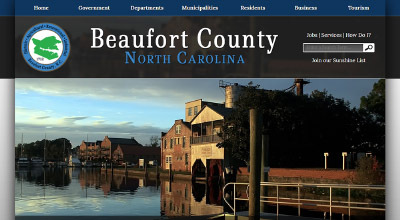  Beaufort County Now: Beaufort County NOW (BCN), as our prototype for our Symbiotic Publisher CMS, has been in development since 2009 and is continually evolving. BCN is our flagship site, where we test nearly all of our leading edge concepts, therefore, this site not only serves as a testing place that far exceeds all other sites in our region by its technological prowess, it is a massive informational resource as an online publication; well presented with its content approaching 100,000 pages of remarkably diverse content. 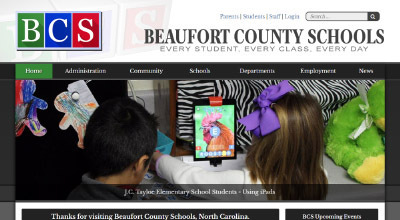 Beaufort County NOW, as a behemoth informational site with unparalleled technological capabilities, should reach anyone interested in our community, and our region through online Search. Banner Space - four differents base sizes, that can be enlarged for a small fee, at outstanding values (the greatest value for ad space of any comparable regional publication) for the base space. Portfolio Micro Site - with the purchase of any sized banner for a year campaign, clients may purchase an extremely inexpensive Portfolio micro site, which can be contructed into a full business site, with far more technical capabilities that Facebook.  Beaufort County Business: Beaufort County Business (BCB) is a conceptualized and constructed business site, with some limited, but very inexpensive banner space, and, like BCN, offers our Portfolio micro site for businesses to reach out extensively to represent exactly what these clients wish to show the local, regional and worldwide community. This prototype would work quite well for serious medium-sized local Chambers of Commerce like groups of businesses. I stress medium sized because we have created a second content management system (to be mentioned later in this post) that could be perfect for the mammoth Chambers of Commerce like groups that aggregate businesses onto a representative platform.  Eastern North Carolina NOW: Eastern North Carolina NOW (ENC NOW), in partial theory, is much like Beaufort County NOW was back in 2010, but with some great differences: We actively wrote for BCN, and promoted it, while we do not do any of that for ENC NOW; however, we have transferred all relevant older content, and do transfer all current content to keep the site relevant on an ongoing basis. 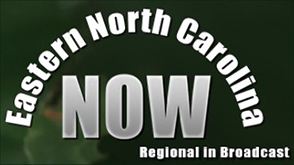 Additionally, ENC NOW is categorically formatted to embrace a more regional presence. Now, we segue into the purpose of ENC NOW, which is multifold: 1) To reach out on a regional basis, while searching for talent to partner on this fully developed, ongoing and current site; 2) To eventually create a regional aggregator of content; 3) By reaching into new communities, use the ENC NOW infrastructure to contact potential developers to franchise our content management (CMS) products - we believe in them to that extent. The same advertisement vehicles, the banner ad space and portfolio micro sites, are offered, and in an exact sense not unlike BCN; however, the cost to our clients is much less. In fact, like BCB, currently we will be offering to our most valued BCN clients, the same space on BCB and ENC NOW at No Charge for whatever specific space in a specific time that they purchase on BCN.  Our Franchise Ambitions for our Publications: Will be evolving, but first we must establish a market for such, which is a major component why we have spent so much time on BCN; it has to better than its possible competition in all probable markets. To that end, BCN, as our multifaceted prototype, is functioning quite well.  Your Local County Now: Like Beaufort County NOW If you have ever desired to publish exactly what you understand to be relevant to your community, your ideals, and still make a living, with endless potential for success matching your unbounded ambition, operating a County NOW may be the perfect opportunity for you. We, SNI, will work with talented, ambitious partners to tailor a franchised publication that will be structured to their reasonable needs, at a value structured to their abilities.  Your Business Community Revealed: Not unlike the concept of Beaufort County Business, Symbiotic Networks (SNI) can provide a customized approach to constructing a business platform /online community that will not only aid local and regional businesses but inspire them to greater marketing creativity. These business online community sites, like Beaufort County Business (BCB) and BCN and ENC NOW is powered by our Symbiotic Publisher CMS. These BCB class sites have the tools to well present and represent the business communities here in northeastern North Carolina and well beyond. As mentioned, our business platform will, if properly utilized, satisfy needs of chamber of commerce-like-organizations, but what if your local business association will or can not understand the essential need to interconnect their business community with each other, and the many potential customers and clients that could be dealing with your business. For those situations, we will partner with and well train ambitious publishers who wish to provide that very necessary service, as is our design to provide. 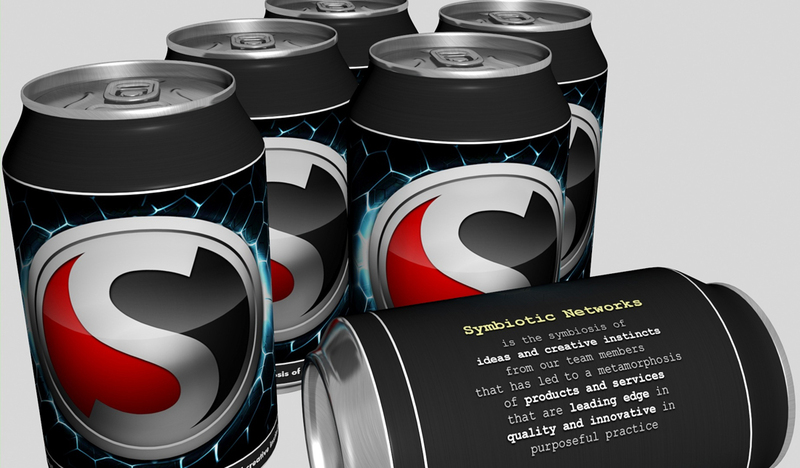 Our Symbiotic Publisher (SP) is designed to efficiently power large sites the inter-react with the sister sites, most notably sites like BCB, BCN, ENC NOW, all powered by SP, which add a powerful dimension to this growing chain of inter- and extra- online communication platforms.  Marketing Your Products: Not only do build 'leading edge' online platforms for ourselves and others, we, obviously, create and aggregate content, while creating design for aesthetic purposes and for banner space, other ads. Recently, we have found time to create videos for businesses and local governments, and TV ads for successful political campaign. As we grow, and acquire talent, and train even more, we will move toward helping others create persuasive content to help others market their unique products, while branding their purposeful image.  Using Current while Creating New Online Advertisement Vehicles: Obviously, we have our online publications, while creating associative online publications for partners, such as Jefferson Rising, within our sphere of creative and technological influence, which spreads our objective of better communication before an expanding base of folks. This is our first line of communication platform to help others reach the public efficiently online; however, we will endeavor to master all other mediums, combining as is necessary.  Video and Audio Production: Content is often better communicated if the message is projected using a series of interesting, pleasant images, with the synchronized accompaniment of melodic sound; possibly narration, as required, to better project that elusive ideal of purposeful mission. We are now, and shall continue to endeavor the mastering of this ever evolving medium, as we complete more projects, and evolve, as well, as a production entity. 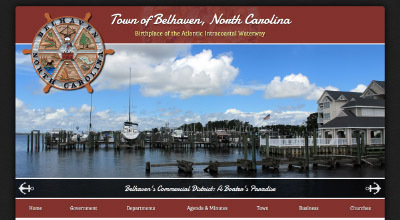 Here now, we offer as beginning evidence, our most recent production for the Town of Belhaven.  Message and Branding: We consider it our privilege to aid our clients in crafting their message; the branding of their image for the selling of their products, and, or their valuable services. In an image, a few well chosen words, an aspiring public often finds the inspiration to try something new, hopefully to the betterment of their ever changing needs. We would like to be there to help others make the wise choices to better plan their search for the attainment of that wonderful life, and then pass that knowledge to those they care most about.  Direct Involvement by our Salesforce: Directly selling client products will be a component of our services should that be requested, and it be within our capabilities to do so. 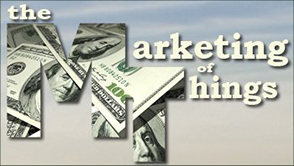 Some sales require certain licenses, and we will be cognizant of that necessity at all times; such as Real Estate, where we have a North Carolina license to aid anyone in the Old North State should they wish to sell, or just use our estimable skills to assist in marketing real property. Other products may just need to be well exposed. If we can help, then we will do what we can to assist. Once again, we are here to help, and with the momentum that I am finally willing to seize, we will have this site, beefed up bit and full, in the future, by employing our Symbiotic Core System (SCS) as its content management system.